A dark haired Sam. Hmmmm. I could get used to that. Actually Sam looks handsome at all times. Don’t understand why he has to change his hair colour for whichever project he’s working on, his natural colour is beautiful, imo. 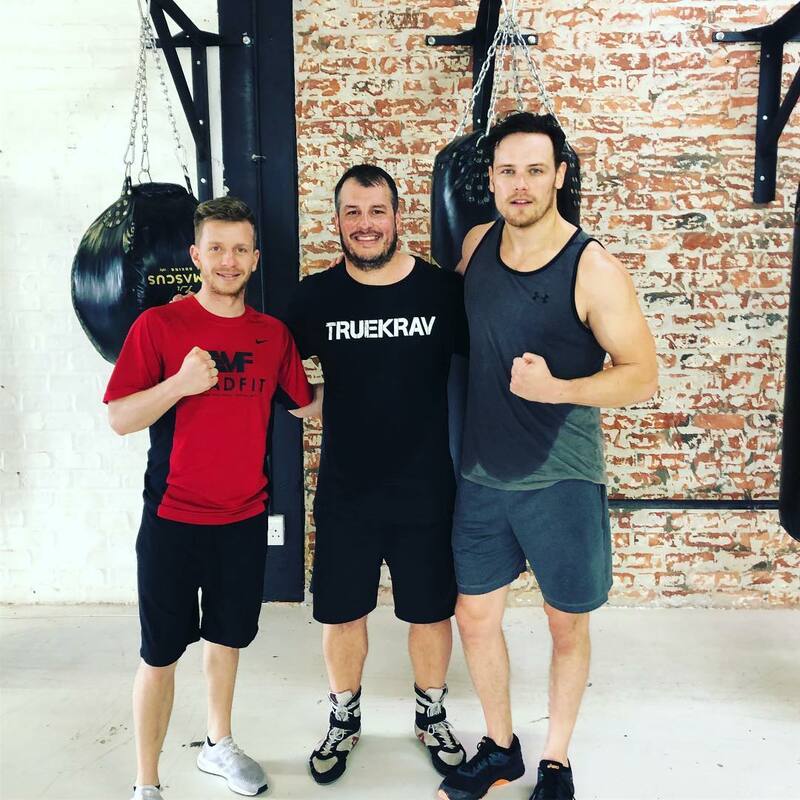 Hi Danielle: Sam dyed his hair red/copper for Outlander – as Jamie Fraser was a redhead. – I guess to keep true to the role, having the hair dyed is a given. if it is required for a particular role. Hi Danielle: Thanks for the reply – I never thought of it like that – it does make him look older.